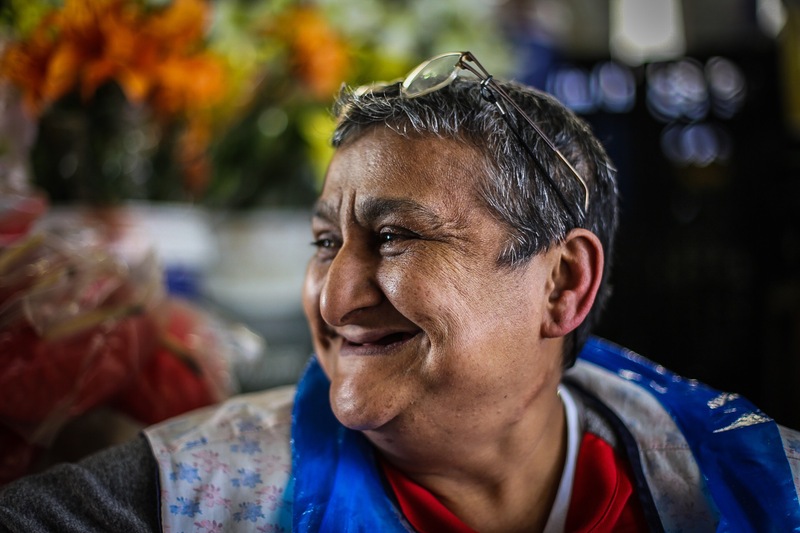 Please meet a third generation flower seller at Trafalgar Place, Glenda Bowman a 53 year old lady from Grassy Park in Cape Town. From the age of eight, Glenda would make her way to the flower market almost daily after school. Not only did her mom sell flowers most of her adult life, but so did her grandmother. Glenda is hoping to pass this on to the next generation when she reaches 55 in a couple of years, but she is not very hopeful, because living cost is high and the next generation is more into computers than taking over the flower stall. 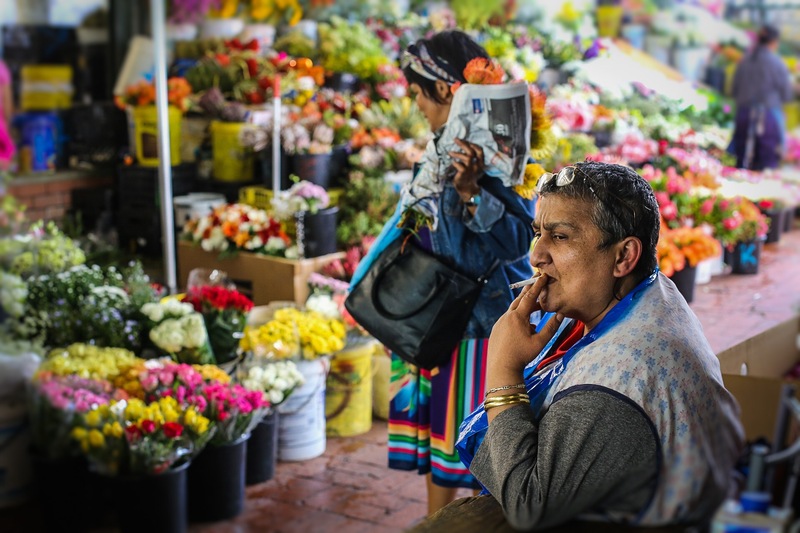 Every four weeks Glenda and the other flower sellers gets to rotate to the next spot down the line, until it is your turn for the best spot by the main entrance unto Adderley street. This system has been in place since forever. Every morning at 7am Glenda opens her stall and she keeps it open till the business ends for the day. This means that some days she can be there till way into the night. Her neighbouring flower sellers has become her family and selling flowers her life. The history of this colourful trade stretches back to the late 1800. Although no accurate recordings are available, many stories connected to the flower sellers are. If you are local to Cape Town and feel like supporting a local entrepeneur please go and buy a colourful bunch for as little as R30, putting any supermarket or convenient store to shame with the quality and quantity you will receive. If you are visiting Cape Town and feel like keeping this iconic trade alive. You could go and meet Glenda, take some colourful pictures and buy an information postcard with beautiful stories and the history of their lives. To walk down the colourful alley by Trafalgar place connecting Darling Street and Adderley street is such an amazing experience and hopefully not hitting the extinct curve anytime soon.